Our staff members are always ready to help you with any sort of problem. Please feel free to talk to your Teacher or any other staff member. The College also has a list of local organisations that can help you. You can also contact the following groups for help. 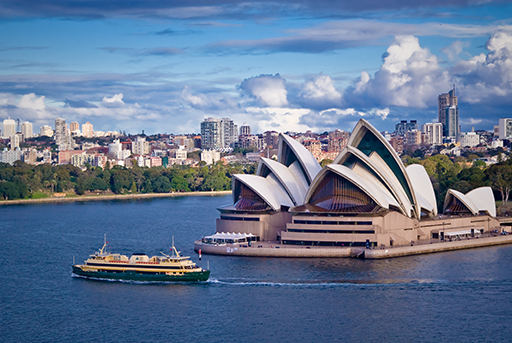 Sydney is the largest city in Australia with a population of almost five million people. Sydney is the capital city of New South Wales. It is a multicultural city with people from different ethnic backgrounds. IESC is located in the heart of city. It’s just a short walk from the train station or bus stop. The Study in Sydney website is a useful source of information. The web site address is http://www.sydneyaustralia.com/en/study-in-sydney. English as it is spoken in Australia is very easily understood by nearly all people from other English-speaking nations. While there are some minor differences in accent between the cities and country areas the difference is much less than you will find in America, Britain and Canada where French is also spoken. As you improve your English in Australia you will learn some of our slang, and have much fun explaining the meanings to your friends and relatives at home. While Australia is predominantly a Christian country, all religions are represented in our multicultural society. Australians respect the freedom of people to practise their choice of religion. Churches, mosques, temples and synagogues are located in most major cities. Some universities have their own spiritual groups on campus. Australians are also environmentally conscious and keen to preserve the country’s natural beauty and scenery. Our ‘Clean Up Australia’ campaign is being adopted worldwide. The electrical current in Australia is 240/250 volts AC, 50 cycles. The Australian three-pin plug is extremely safe. Adaptors are usually required for most foreign appliances. A transformer may be required if you bring an appliance from overseas that operates on a different voltage. To be a successful student in Australia, you will need to adapt to these methods of learning, but most education institutions in Australia are very willing to help as they offer counselling services and assistance to develop effective study skills. Our teachers have vast experience teaching English to overseas students, they understand the difficulties in getting used to different study methods and they will be patient in helping you to develop new skills. Australian currency is the only legal tender in Australia. When you first arrive, money from other countries can be changed at the exchange facilities located at international airports, banks and major hotels. Traveller’s cheques are easier to use if already in Australian dollars, however, banks will cash travellers cheques in virtually any currency. Major hotels and some shops will cash traveller cheques, depending on individual store policy. Australia uses a dollars and cents system of decimal currency with 100 cents in a dollar. The bank notes in use are $5, $10, $20, $50 and $100. Coins used are the silver-coloured 5 cent, 10 cent, 20 cent and 50 cent and the gold-coloured $1 and $2 coins. Porters have set charges at railway terminals, but not at hotels. However, at any time, tipping is a matter of individual choice. The average international student in Australia spends about $360 per week on accommodation, food, clothing, entertainment, transport, international and domestic travel, telephone and incidental costs. School students in Australia typically spend a little less – about $265 a week – on accommodation and food, entertainment, transport and associated items. While this is a realistic guide, it is important to remember that individual circumstances will vary by location, course and lifestyle. Half – Board AU$150 – AU$200 per week (plus expenses). This accommodation can be booked prior to arrival. Two weeks advance notice is required before you depart for Australia. Further details can be obtained from the Student Services & Administration Manager. Australia has efficient public transport systems (buses, trains and trams) in all cities as well as efficient interstate and overseas air services. Students using public transport can apply for a student concession card that entitles them to discounted fares. International students are required by the Government to join a private health insurance scheme. The OSHC premium cover must be paid before a student visa is issued. You will need to pay the OSHC premium at the same time as the tuition fees. The OSHC entitles you to free hospital cover and 85% of standard doctor’s fees. OSHC is also charged on a pro-rata basis for shorter courses. Sydney is a reasonably priced city providing good quality affordable living and abundant accommodation. Students will need about A$18,610 per year (excluding tuition) to cover living expenses. According to the Government Website, Study in Australia, Australia is a sophisticated, friendly and affordable country which enjoys one of the highest standards of living in the world. The average international student in Australia spends about $360 per week which may include items such as accommodation, food, clothing, entertainment, transport, telephone and incidental costs. The cost of living depends a lot on the kind of accommodation a student chooses. A married student with dependents will need approximately an additional A$4,000 per year for each dependent. Fruit, vegetables and meat are available fresh and at reasonable prices. Clothing and personal effects are usually of good quality and available at a wide variety of prices. Below is a price table of typical daily items. This is only a guide. Remember that you can shop around for items such as clothing and shoes to find a cheaper source. The Australian Government wants overseas students in Australia to have a safe, enjoyable and rewarding place to study. Australia’s laws promote quality education and consumer protection for overseas students. These laws are known as the ESOS framework and they include the Education Services for Overseas (ESOS) Act 2000 and the National Code 2007. As an overseas student on a student visa, you must study with an education provider and in a course that can be found on the Commonwealth Register of Institutions and Courses for Overseas Students (CRICOS) at http://cricos.dest.gov.au CRICOS registration guarantees that the course and the education provider at which you study meet the high standards necessary for overseas students. Please check carefully that the details of your course − including its location − match the information on CRICOS. your right to receive, before enrolling, current and accurate information about the courses, fees, modes of study and other information from your provider and your provider’s agent. If you are under 18, to ensure your safety, you will be granted a visa only if there are arrangements in place for your accommodation, welfare and support. If you are under 18, to ensure your safety, you will be granted a visa only if there are arrangements in place for your accommodation, welfare and support. IESC For policies and procedures that affect you Speak with IESC. Contact the DIBP office in your country.